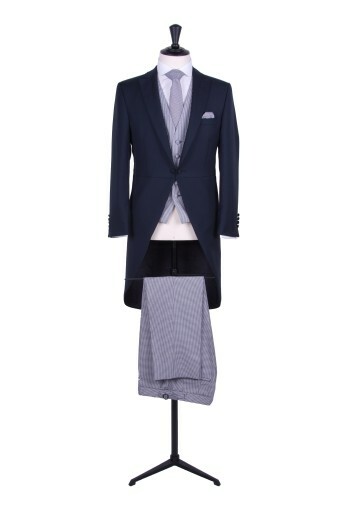 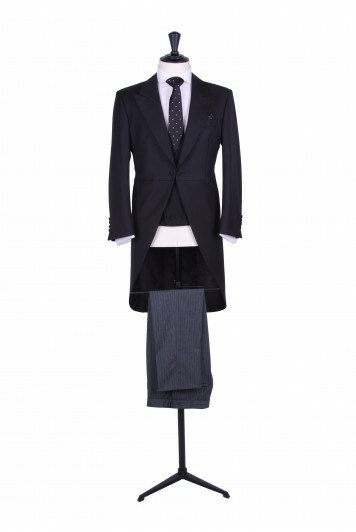 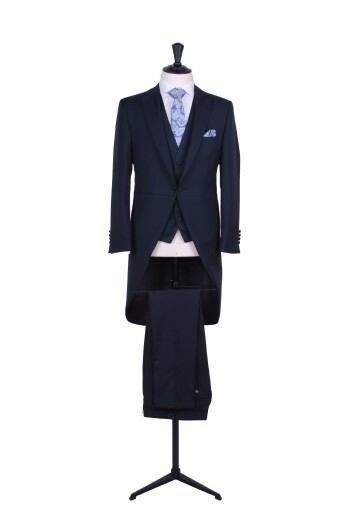 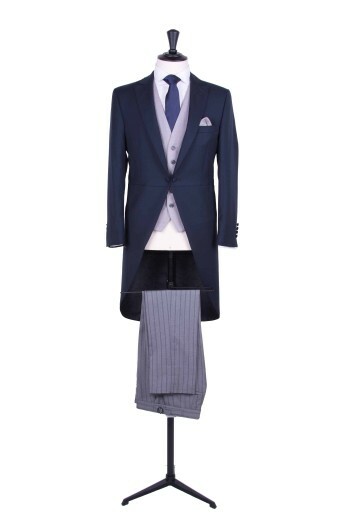 A light weight navy blue pure wool tailcoat with slim fit matching or contrasting trousers. 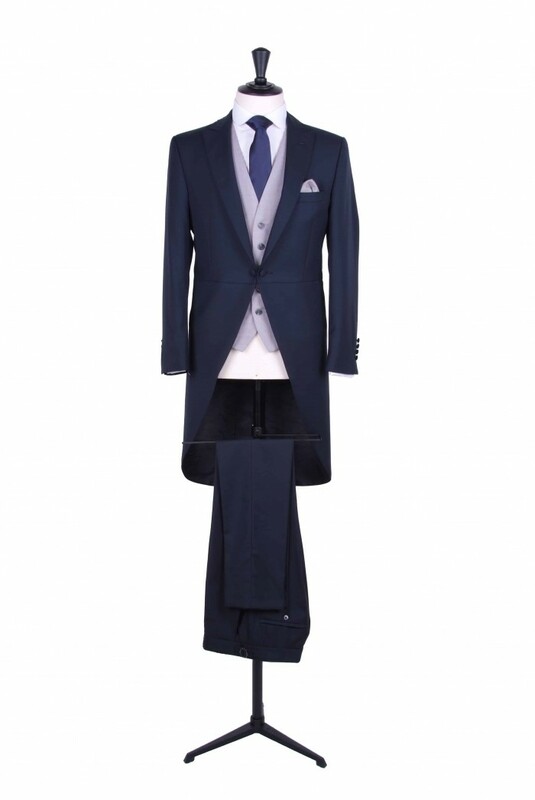 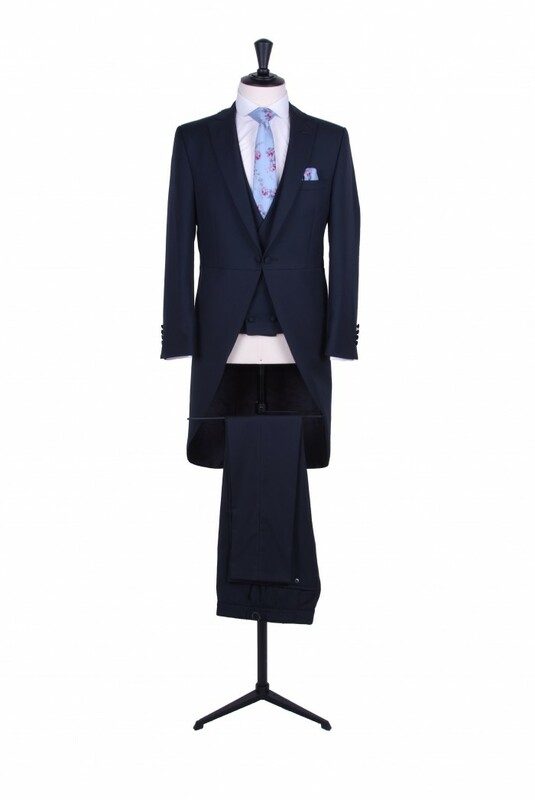 A light weight super 120 pure wool navy blue slim fit tailcoat with matching or contrasting slim fit trousers. 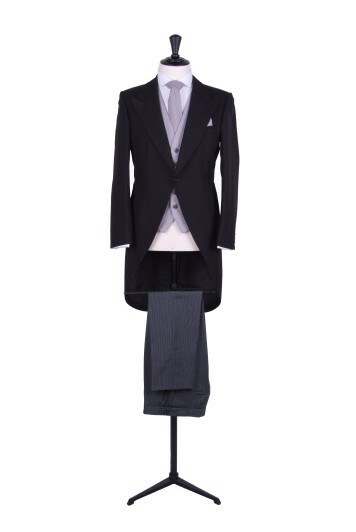 A slim fit tailcoat in a rich navy pure wool, available with either a matching regular or slim fit 16" bottom trousers. 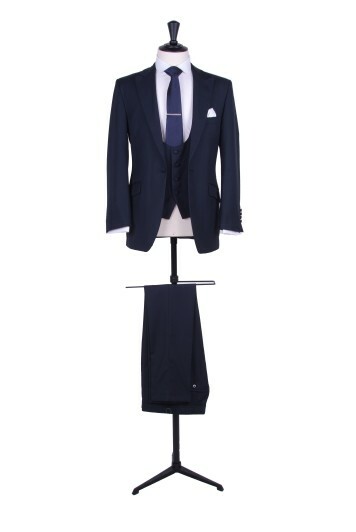 Mens sizes from 32" chest upwards and include extra short, short, regular, long and extra long fittings. Boys sizes from 20" chest to 34" chest. 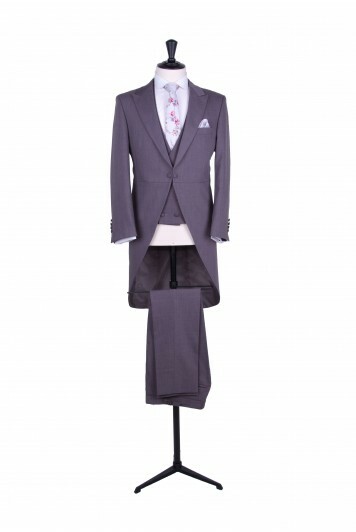 Complete men's hire outfits are available for £195.00. 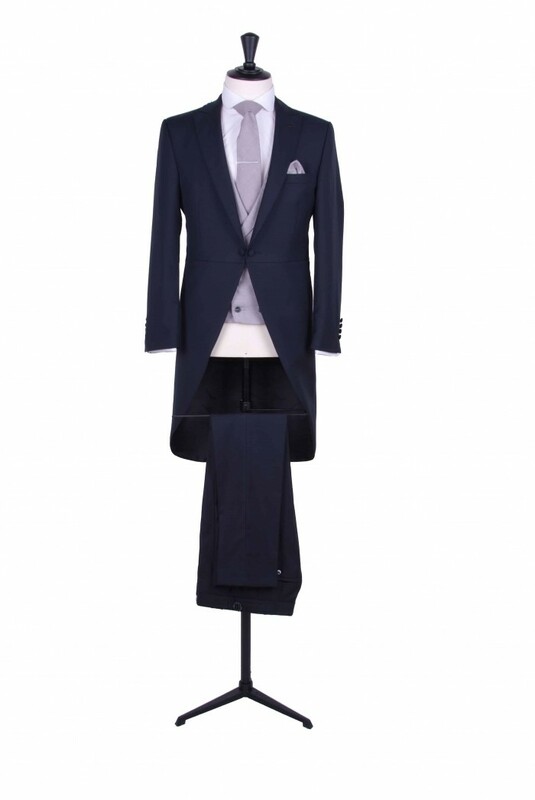 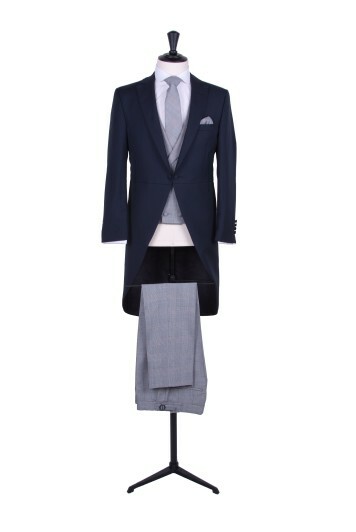 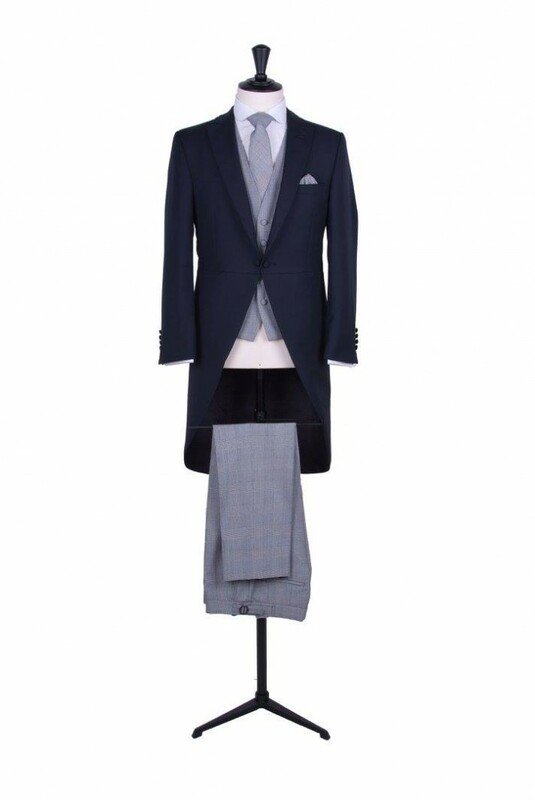 This hire price includes a light weight super 120 pure wool navy tailcoat, matching or contrasting trousers, waistcoat, brand new slim fit white or ivory shirt, cravat, tie or bow tie, handkerchief, cufflinks and braces. 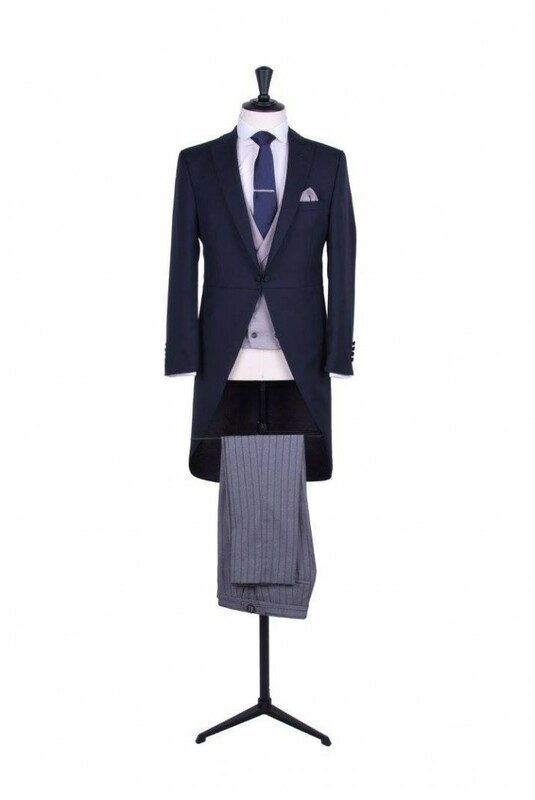 Please fill out the following form to have a fabric sample swatch and more information about this product sent to you.